La reseña de hoy es sobre este producto, que es en esencia un exfoliante facial tipo scrub, pero muy suave, con micro gránulos de arroz molido, que mezclado con agua de arroz y otros ingredientes hidratantes y humectantes, logran dejar la piel suave al liberar las células muertas de la superficie, a la vez que la humectan. 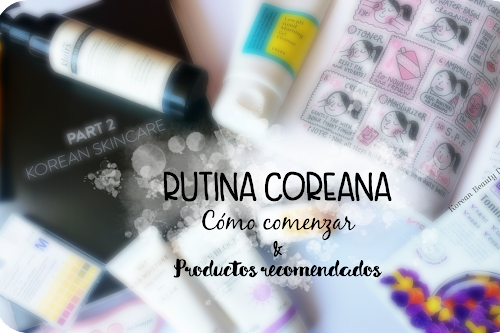 Le di un tiempo extra a este producto que me envió BB Cosmetic, porque a pesar de todo, es un producto que reúne limpieza+cuidado facial. Además, me gusta probar los productos cuando mi piel está en distintas etapas o con "problemas" extra, para ver si los puedo recomendar a otros tipos de piel, y en ese caso especial tampoco falló. Today's review it's about this product that essentially is a facial scrub, but very soft, with micro granules of ground rice, which mixed with rice water and other moisturizing ingredients, manage to leave the skin smooth by releasing dead skin cells, to the time that also gives moisture. 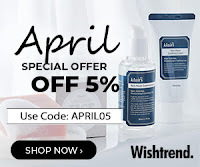 I gave an extra time to this product that was sent by BB Cosmetic because, despite everything, it is a product that brings together cleansing + facial care. 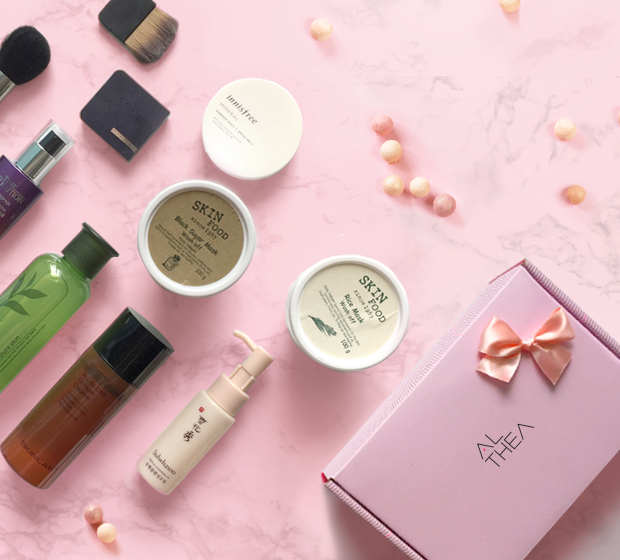 In addition, I like to test products when my skin is in different stages or with extra "problems", to see if I can recommend it to other skin types, and in this special case didn't failed. aclarando visiblemente y suavizando excepcionalmente la piel. 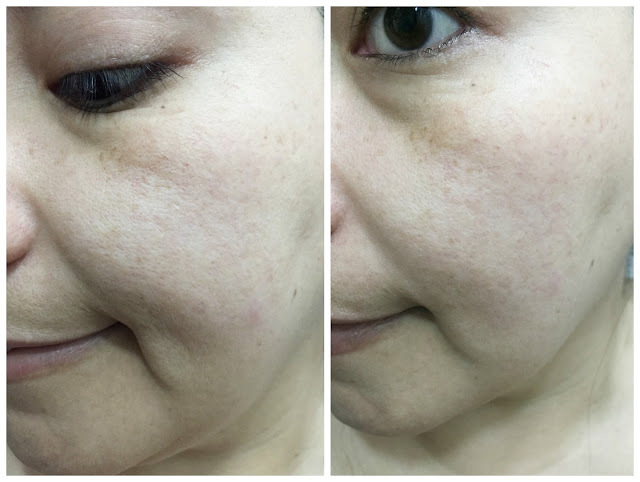 La absorción natural de la piel se puede aumentar. A través de la fermentación, el agua se descompone y se producen nuevas sustancias. En caso de fermentación, reduce la probabilidad de afectar adversamente la piel. Masajear suavemente sobre la piel húmeda, evitando el área de los ojos, durante 2-3 minutos. 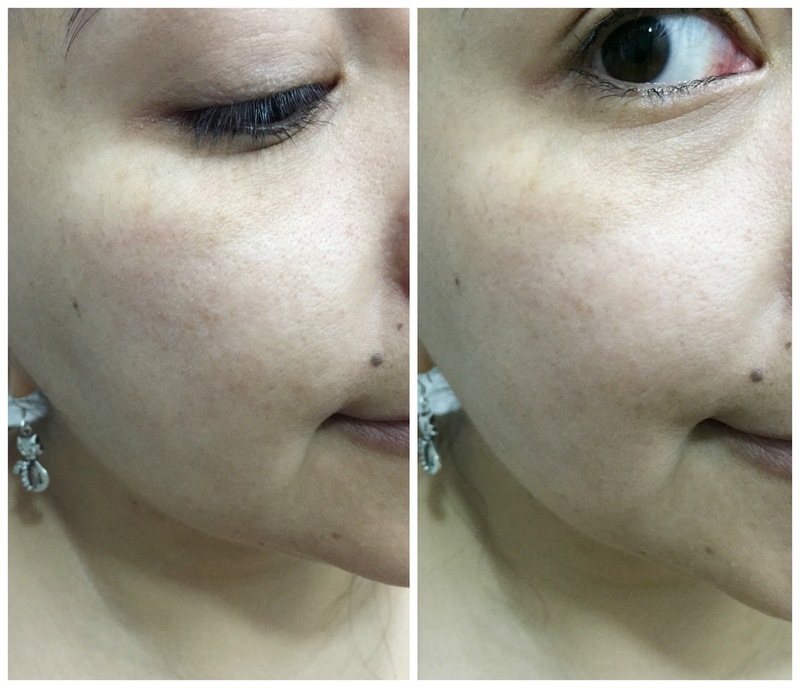 Se puede usar 2-3 veces por semana, dependiendo del tipo de piel. Sugerencia de uso: Úsalo con una espátula. 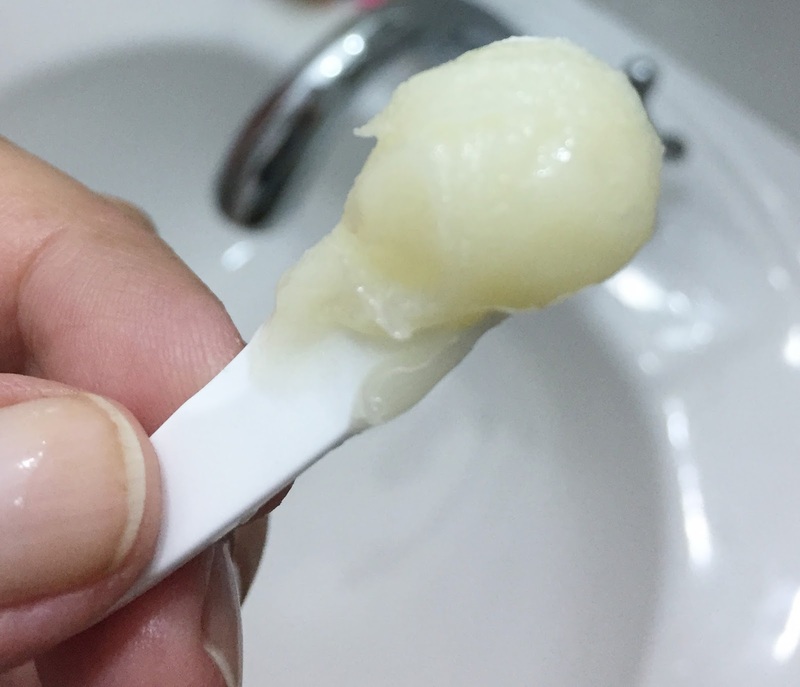 Frota suavemente el polvo de arroz no sólo en tu cara sino también tu cuerpo para exfoliación y la hidratación. 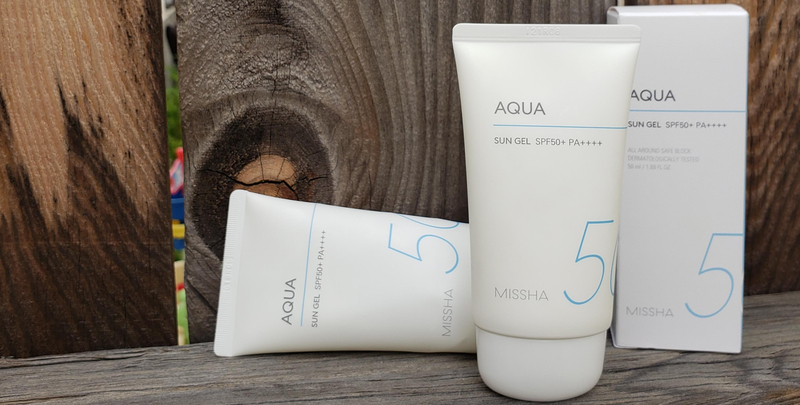 visibly brightening and exceptionally softening the skin. Natural absorption of the skin can be increased. Through fermentation, water is decomposed and new substances are produced. 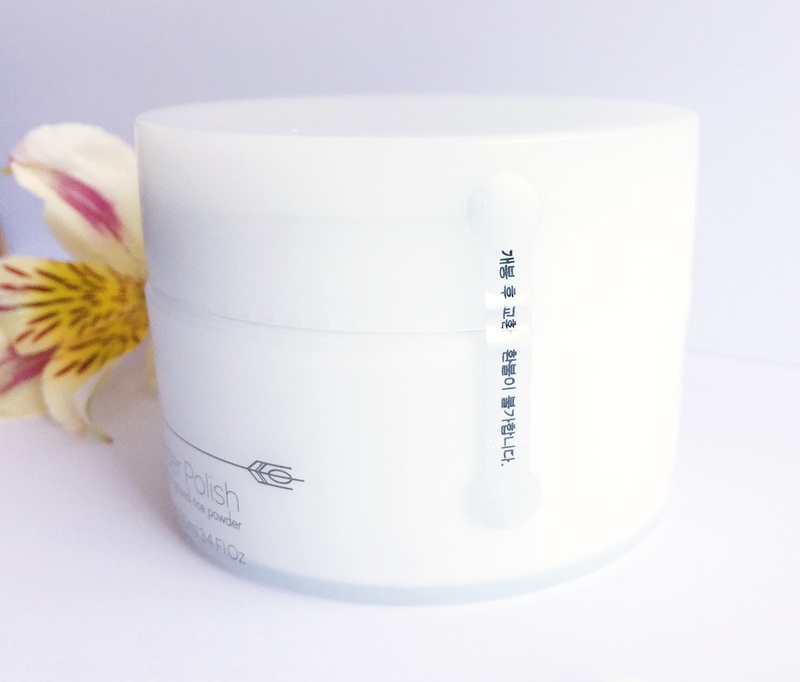 In case of fermentation, it reduces the probability of adversely affecting the skin. 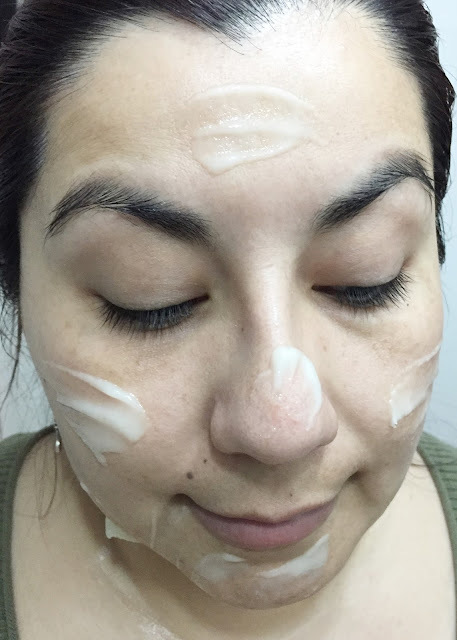 Gently massage on moist skin, avoiding the eye area, for 2-3 minutes. Can be used 2-3 times per week, depending on skin type. Usage Tip: Use it with spatula. 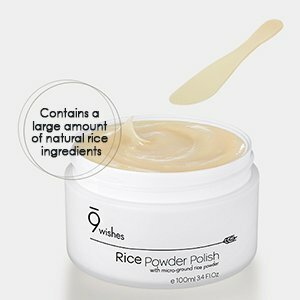 Gently rub the rice powder not only on your face but also your body for exfoliation and moisturizing. El empaque si bien sigue la línea minimalista y muy limpia del producto que les reseñé anteriormente, esta vez me sorprendió. 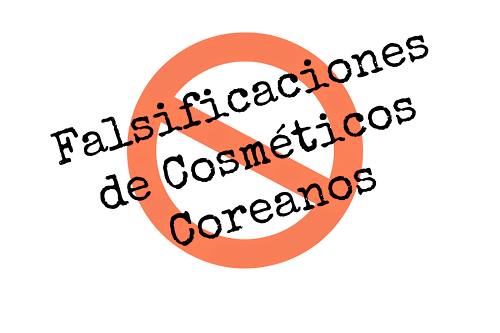 No sólo por su firmeza en cuanto a que el jarro donde está contenido el exfoliante es muy firme a pesar de ser plástico, sino que también por la seguridad que te entrega la marca de que el producto llegará a tí sano y salvo. A qué me refiero? 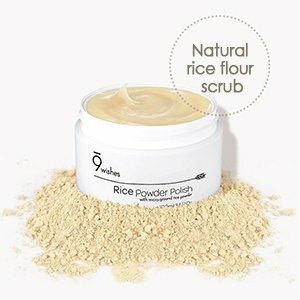 A que comunmente los productos exfoliantes traen sólo una tapa separadora, para que el exfoliante en si no ensucie la tapa exterior básicamente, pero en el caso de este exfoliante de arroz, no venía con 1, sino que además de la tapa separadora, venían 2 sellos más. Además de ese detalle que a mí al menos me encantó, este exfoliante de arroz trae su propia espátula, que ayuda mucho a evitar meter los dedos al pote, ya que el producto es una pasta densa. 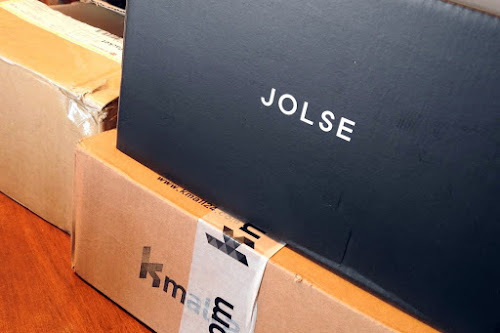 The packaging follows the minimalist and very clean line of the product that I reviewed previously, but this time I was surprised. 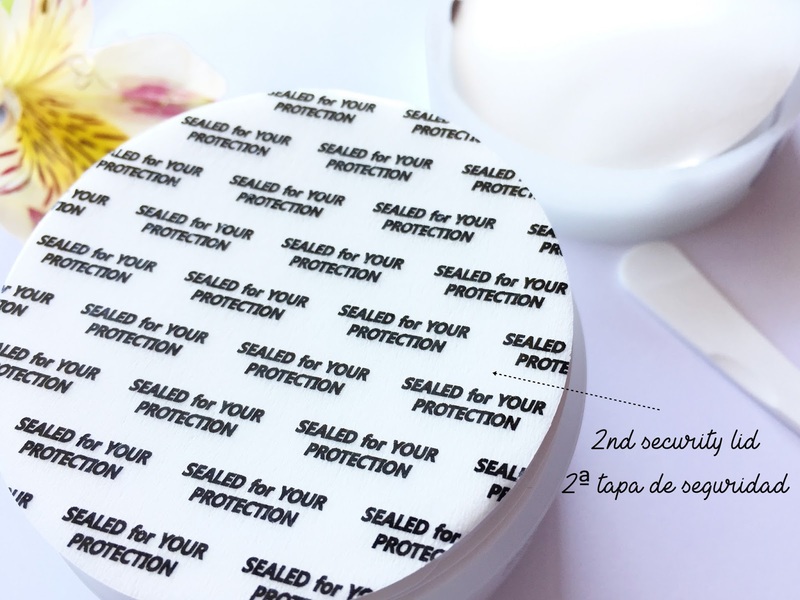 Not only for its firmness regarding the jar where the exfoliant is contained despite being plastic, but also because of the security that gives you the Brand that this product will come to you safe and sound. What do I mean to say? 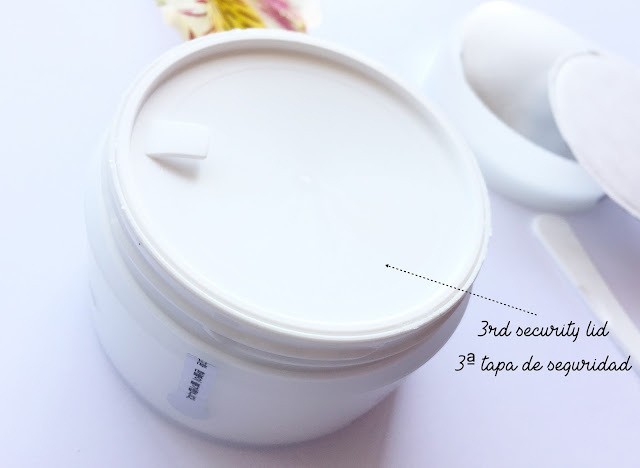 In general, the exfoliating products only have a separating lid, so basically that the product itself does not dirty the outer lid, but in the case of this rice scrub, it did not come with 1, but in addition to the separating lid, 2 more security lids. In addition to that detail that I at least loved, this rice scrub brings its own spatula, which helps a lot to avoid putting your fingers to the pot, since the product is a dense paste. 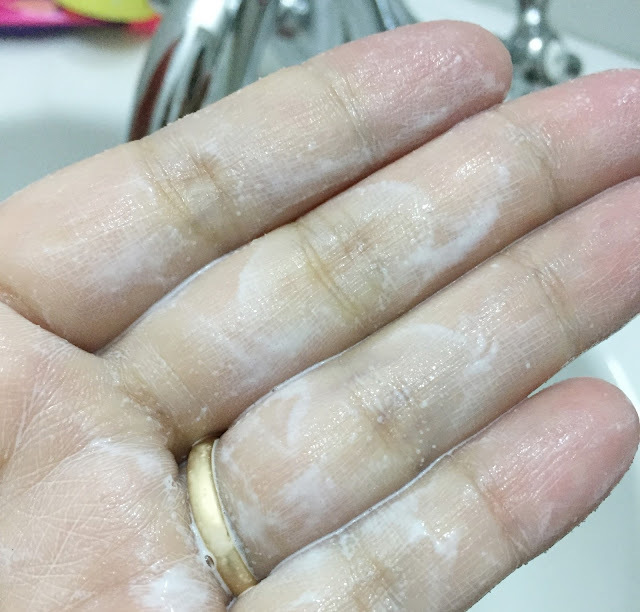 En este último tiempo he dejado totalmente de lado los exfoliantes de gránulos, para dedicarme más a aquellos tipo peeling gel (que parecen gel, que frotas y salen pequeños trozos de 'supuestamente piel' y luego enjuagas), tanto por comodidad en el uso, como porque por lo usual, los exfoliantes de gránulos son más agresivos con la piel, especialmente si tienes acné o tu tipo es sensible, o los usas sin diluir previamente en agua. 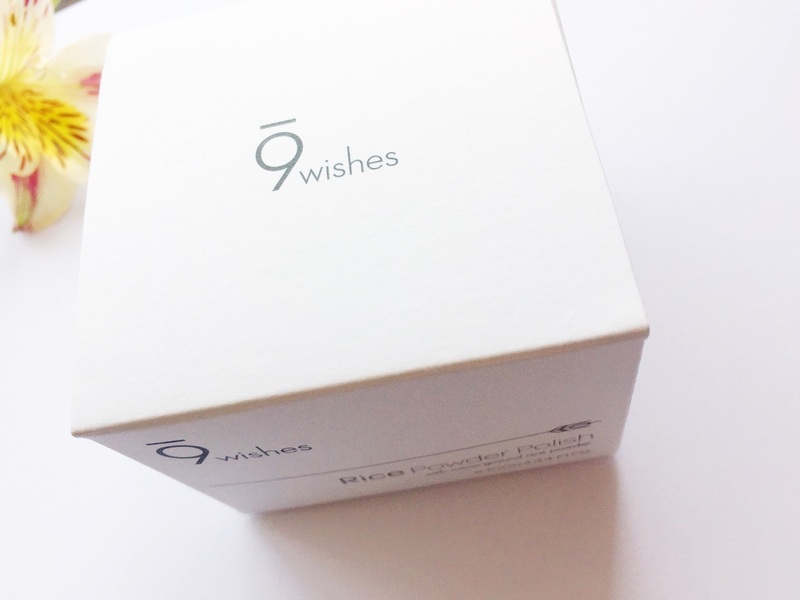 Este exfoliante de 9Wishes es una pasta muy densa que tiene apariencia de papilla de postre de arroz. Tiene un aroma muy ligero, fresco (es un olor similar a la mascarilla de Cosrx) y a pesar de ser densa, es muy fácil de esparcir y a simple vista puedes notar los gránulos (o micro gránulos, pues son muy pequeños). 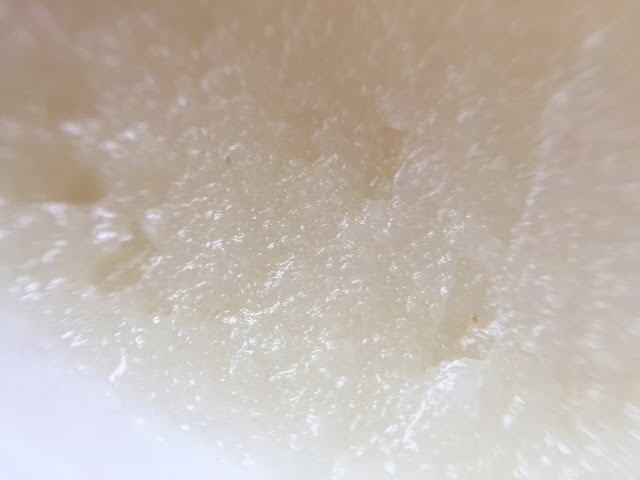 No se parece en nada al exfoliante de arroz de Skinfood, que es más un arroz con leche bastante soso y sin gracia, que sólo deja la piel algo hidratada y no ayuda en nada a la suavidad. 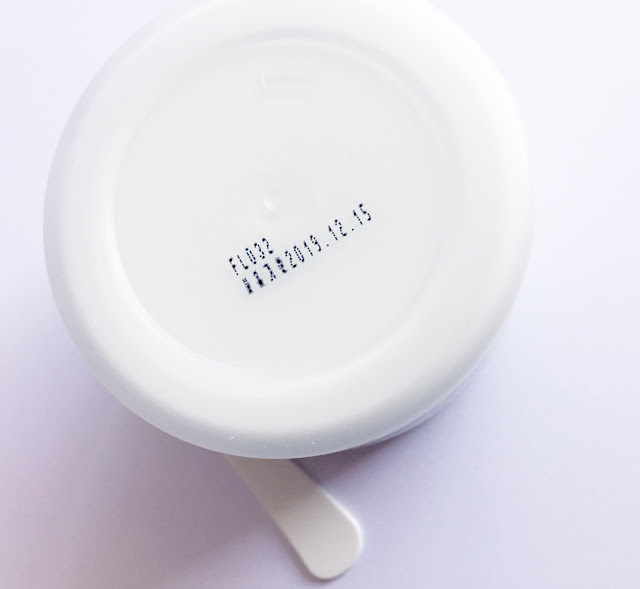 Apenas lo aplicas en la piel, se nota un poco aceitosa, y es básicamente por la mezcla de ingredientes que tiene, entre los cuales está primero el aceite de canola, y luego el aceite de Macadamia y el de Argán, más las ceras de candelilla y microcristalina. Además de ello, incluye Papaína (enzima), Agua de salvado de arroz, fermentos de arroz (Saccharomyces y Aspergillus) y de soya (Lactobacilos), y una larga lista de aminoácidos. Algo curioso en la lista de ingredientes y que me tuvo un rato ocupada, es que en el empaque hay algunos que tienen errores tipográficos, y mientras en la caja se indican 43 ingredientes -son 44 realmente, uno estaba mal tipeado-, en la web sale una lista más reducida de sólo 29 ingredientes -para que lo tengan en cuenta-. Por la presencia de esos aceites y emolientes es que en la piel se siente algo oleosa, pero como se aplica en piel húmeda y luego se debe enjuagar con agua tibia, resulta fácil de lavar, dejando una sensación diferente a otros exfoliantes de gránulos tipo wash off. Con esta mascarilla la piel queda muy suave, pero no brillante y tirante como con otros exfoliantes físicos. 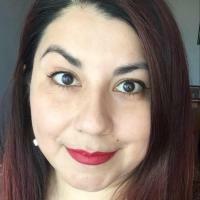 La piel queda hidratada, calmada. 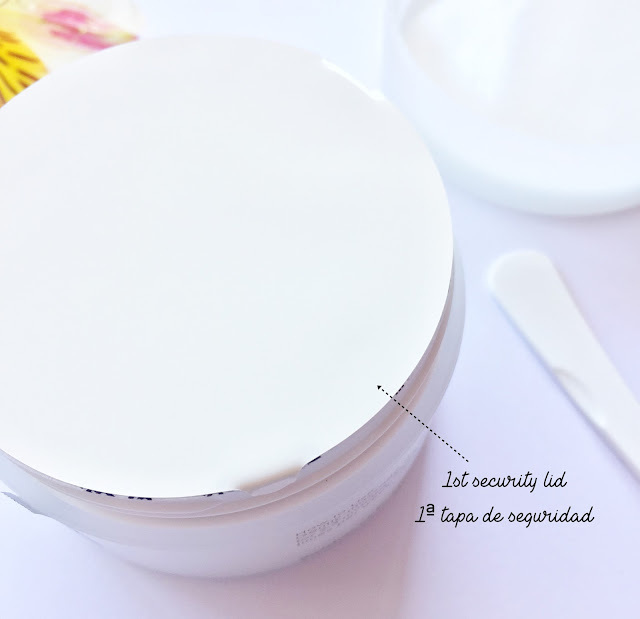 Pese a que la advertencia general es a no usar exfoliantes sobre piel herida, ya sea acné abierto o heridas de cualquier tipo, como recordarán, el pasado Jueves Jin me rasguñó la mejilla y el cuello, pero ayer usé esta mascarilla sin ningún problema. Ojo, que no les estoy contando esto para que vayan y la usen sobre heridas, sino para mostrarles lo suave que es con la piel. Por su formulación más de tipo humectante creo que los tipos de piel que la disfrutarían serían pieles normales a secas, y máximo mixtas deshidratadas. No creo que les guste la sensación a pieles grasas, a pesar de que no provoca exceso de sebo tras su uso. Calificación final: Vale la pena probarla, pero su precio es muy alto. De cualquier modo, lo que se utiliza es poco, y para ocupar por dos a tres veces a la semana, y con la gran cantidad que trae (100 ml), tienes para varios meses de uso. In this last time I have completely left aside 'scrubs' or 'grain scrubs', to dedicate more to the peeling gel types (which look like gel, but after you rub starts to leave small pieces of 'supposedly skin' and then you rinse), both for convenience in use, as because usually, the granules are more aggressive with skin, especially if you have acne or your skin is sensitive, or you use it without diluting previously in water. 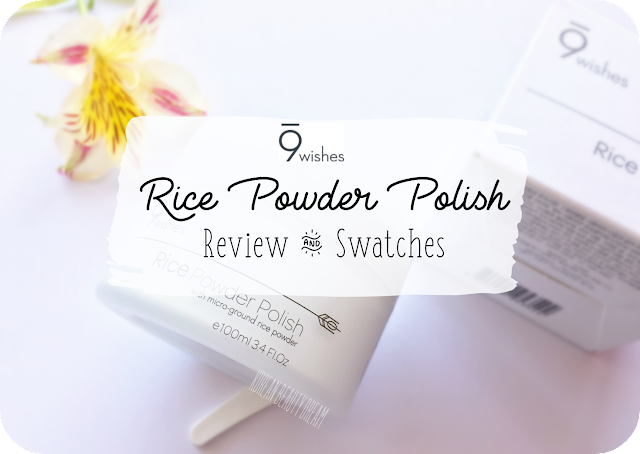 This 9Wishes exfoliator is a very dense paste that looks like rice pudding. 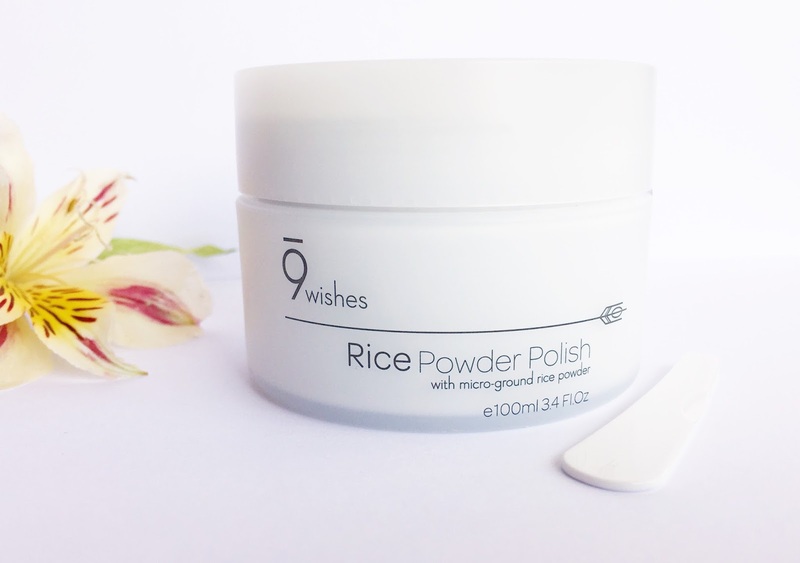 It has a very light, fresh aroma (it has a similar smell to the cosrx rice mask) and although dense, it is very easy to spread and at first glance you can notice the granules (or micro granules, since they are very small). 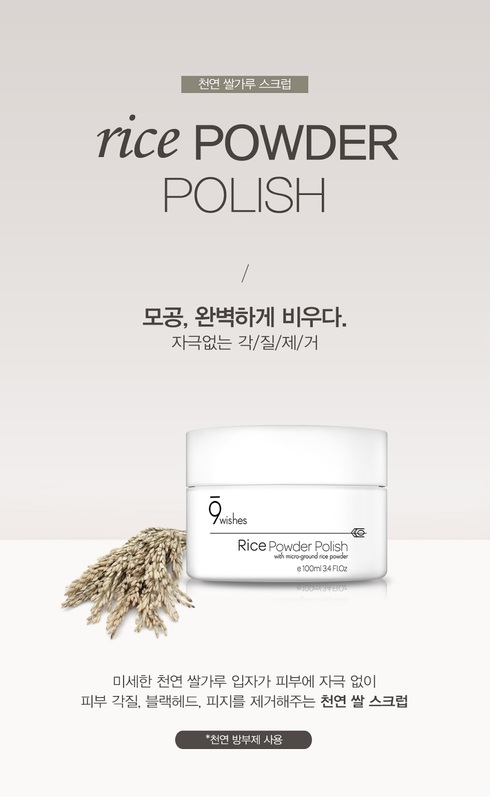 It doesn't look like in anything to the Skinfood rice mask, that was plainly boring, with no scrub particles at all, that feels like kind of hydrating but nothing clean after using it. 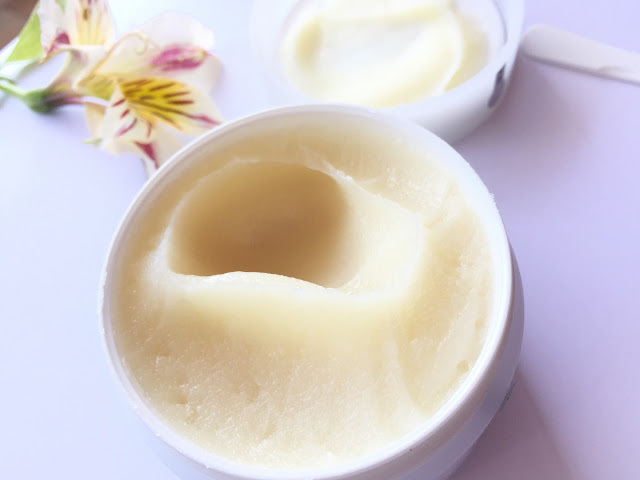 As soon as you apply it to the skin, it is slightly oily, and it is basically because of the mixture of ingredients that it has, among which is the canola oil, the Macadamia and Argan oil, plus candelilla and microcrystalline waxes. 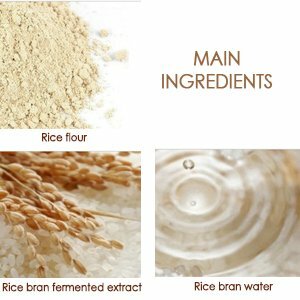 In addition, it includes papain, rice bran water, rice yeasts (Saccharomyces and Aspergillus) and soybean (Lactobacillus), and a long list of amino acids. Something curious in the ingredients list and because I had a busy time, is that the packaging there are some typographical errors, and while in the box are indicated 43 ingredients - there are 44 really, one was mistyped-, on the web there is a shorter list of only 29 ingredients -for you to take into account-. For the presence of these oils and emollients is that the skin feels somewhat oily, but as it is applied on damp skin and then rinsed with warm water, it is easy to wash, leaving a different sensation to other wash type granule exfoliators. 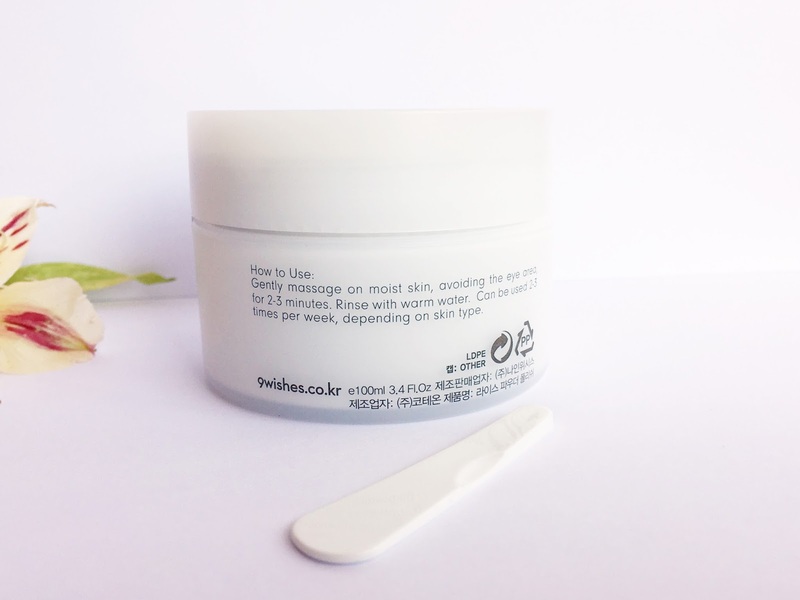 After using this mask, skin is very soft, but not shiny-tight as with other physical exfoliators. Skin is hydrated, moisturized and calm. 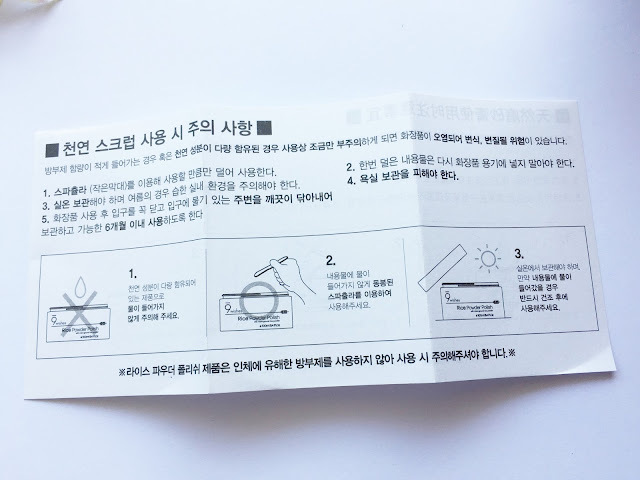 Although the general warning is not to use scrubs on injured skin, whether open acne or wounds of any kind, as you will recall, last Thursday Jin scratched my cheek and neck, but yesterday I used this mask without any problem. I'm not telling you to do this on you, but I'm writing about because wanted to show you how gentle it is with skin. 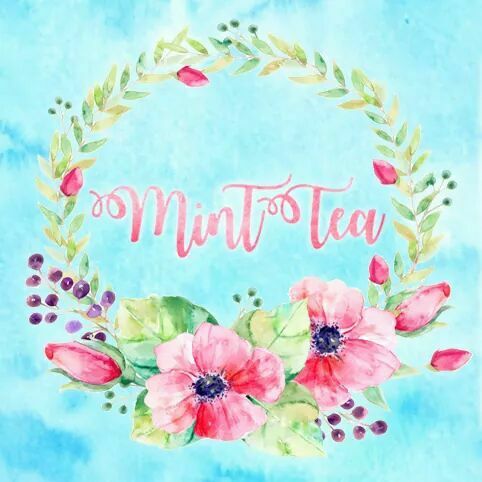 For its more humectant type formulation I believe that the types of skin that would enjoy it would be normal to dry skintypes, and even combination dehydrated skin. I don't think oily skintype would like the 'oily' sensation -although is more creamy-, even though it does not cause excess sebum after use. Final calification: Worth to try, but its price is very high. Anyway, what is used is little, and to use it for two to three times a week, and with the large amount that brings (100 ml), you have for several months of use. 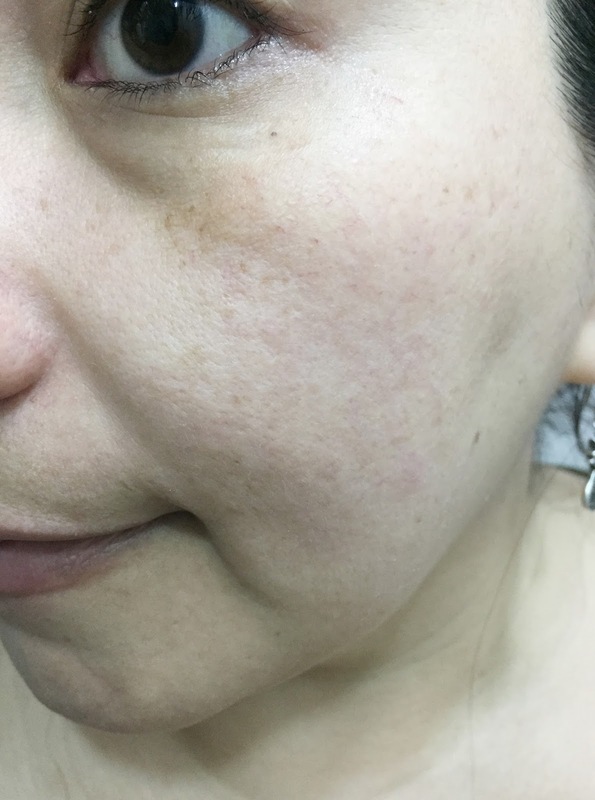 Piel ya enjuagada y limpia, no reseca ni tirante. 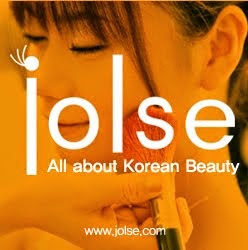 ↓ Por la mezcla de ingredientes no es para piel grasa / For the ingredients blend, doesn't not fit the needs of oily skins. 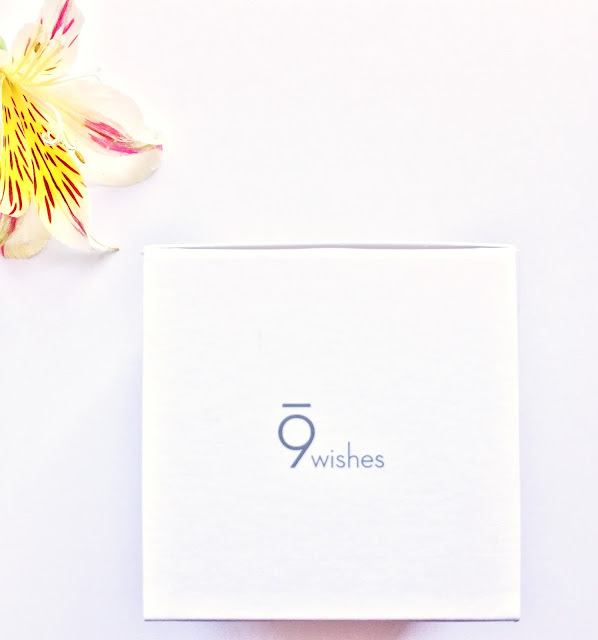 Espero esta reseña les ayude a conocer un poquito más de 9Wishes y de nuevos exfoliantes. Hey, hay esperanzas para pieles secas o con problemas de deshidratación! 😁 no todos son exfoliantes granulosos resecantes. 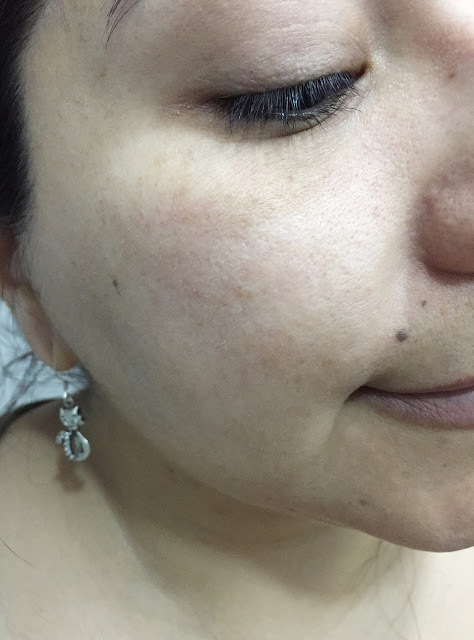 Han probado algún exfoliante de arroz que sea realmente efectivo, pero a la vez suave con su piel?. 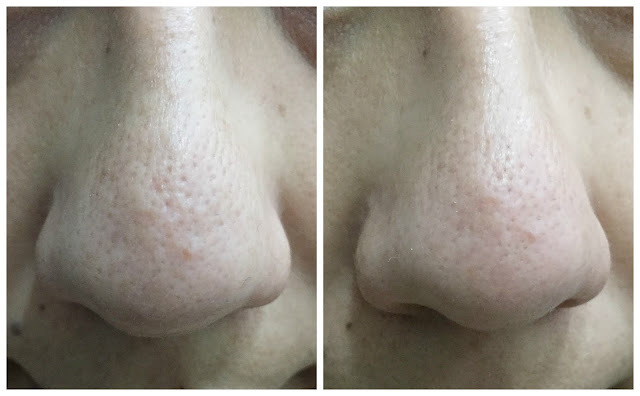 Éste lo encuentro algo parecido al Papaya Moisture de Skin Watchers, más que nada en las micro partículas, salvo que el de SW no deja la piel ya hidratada ni tampoco es de tipo scrub. Tiene muy buena pinta, precio aparte, pero con lo súper perezosa que soy para exfoliantes y mascarillas se que no la usaría con la frecuencia necesaria. Me encanta que sea de arroz, ultimamente me estoy volviendo muy fan de este ingrediente. Pensé que iba a ser más cara por un comentario que leí en tu Instagram jaja. Hace mucho que no uso exfoliantes físicos, y de arroz nunca probé. El de Skin food llamaba mi atención, éste no me parece tan mal, pero por sus ingredientesno sé si me iría bien. Igual es caro comparados con otros exfoliantes xD por eso aviso antes de que alguien me reclame. Yo creo que si no te molesta la hidratación en tu piel te gustaría, porque es del tipo de scrub que puedes frotar y no te va a dañar. Me gusta los ingredientes que lleva. Interesantes, eh? :D me gustó lo de los aceites, el arroz y los fermentos. 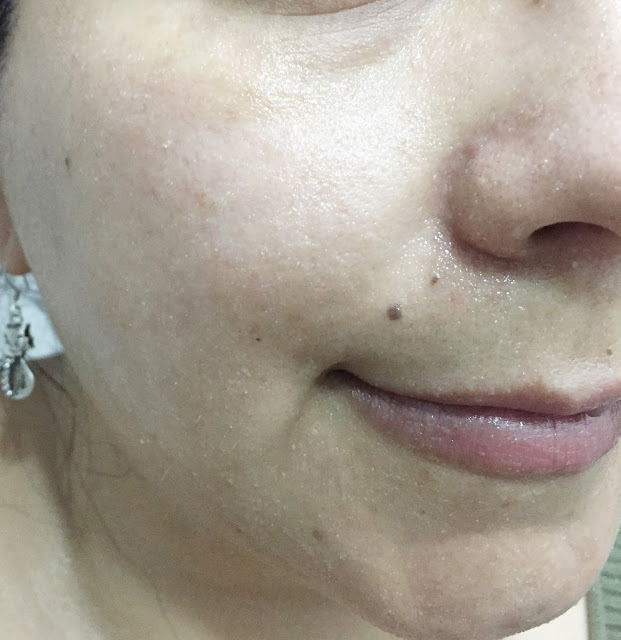 Hola Eve, gracias por la muestra del exfoliante, lo probe una segunda vez y me gusto mucho y realmente es diferente a otros que he probado, no deja la piel tirante, en un inicio el precio me hizo dudar, pero comparándolo con el otro que uso que es el de skin whatchers es un poco mas barato y creo que mas fácil de conseguir, un abrazo. La verdad es que comparado con el de SW no es tanta la diferencia en precio tampoco, el de SW sólo lo he visto en Bnk a precio razonable. Bueno, poniendome al corriente con las reseñas (este nuevo trabajo no de tiempo para nada Dx). Conforme iba leyendo la entrada, me entusiasmaba la idea de probar, aunque sea una vez, un exfoliante mecánico, al menos para una vez por semana, ya que no he tenido oportunidad de usa uno coreano (tengo uno de the bodyshop de la linea de te verde, los granulos son finos, pero no lo he podido usar, ya que tengo miedo a que me reseque la cara, y desconozco el nivel de ph que tiene), y el de skinfood es el clasico de arroz, que todo mundo lo ama, pero si me desinfló el animo cuando no lo recomiendas para piel mixta o grasa. Los ingredientes son muy llamativos, y se puede notar que su mision no es quitarte la piel a pedazos xD y sobretodo, que te deja hidratado el rostro. Si puedo conseguir una muestra, me animaría a probarla.